In addition to the three new Liquid Sand shades, OPI's fall/winter collection is full of warm, autumn-like colors offset by a handful of bold blues, a shiny foil, and even a little duochrome. The formula on these was mixed, but generally good. The creme shades were perfect. A dream to apply. The shimmers were more sheer and uneven than I was anticipating and took an extra coat for evenness and opacity. I did three coats of each, but only the shimmer shades needed the third coat. Dry time is fast. A couple ho-hum colors, but also a couple of very cool ones. My picks are Muir Muir On The Wall, Peace & Love & OPI, Haven't The Foggiest, and Keeping Suzi At Bay. Two gorgeous duochrome shimmers, my new favorite silver foil and a vibrant but not neon blue creme. 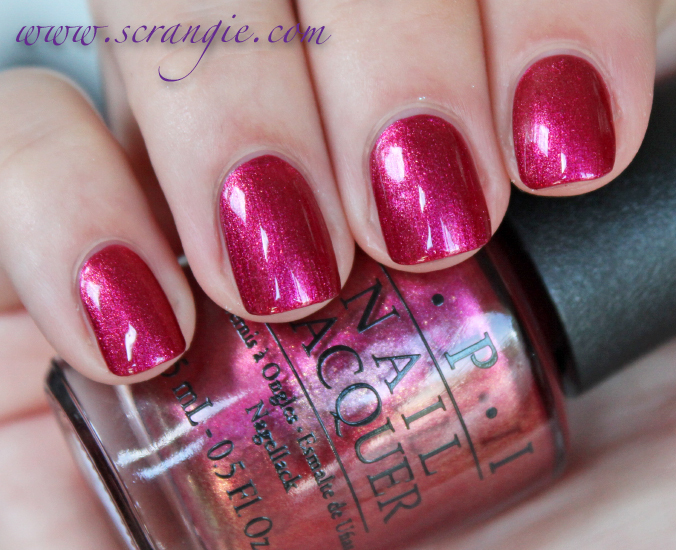 Don't forget to check out the Liquid Sand polishes that are part of this collection! I am kind of surprised at how repetitive this collection is with some past collections from OPI and other nail polish brands. I can think of at least close dupes for at least a handful of these. Yep. I feel like, been there, done that. The rest are very Sally Hansen. Embarca-Dare Ya looks awesome! But it looks kind of similar to You Only Live Twice.. Not sure if I should get it. I hope you won't mind my asking how true are your photos of Muir Muir on the Wall. It doesn't look anywhere near this pretty in other swatches I've seen. Agreed with you and Pink Pamalamma: Scrangie's swatches always seem to look prettier than others but she takes time to capture all nuances and looking at it in different lighting. 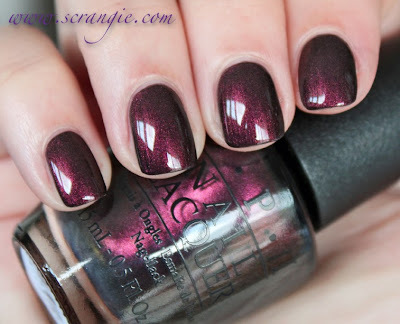 But I also have to agree with you--bc bloggers only seem to show Muir Muir on the Wall as JUST a blackened plum shimmer (the first photo of it). Scrangie, your swatches are always the best ever! I'm loving the blues and Peace, Love,& Opi. Not impressed with the colours. They are pretty but nothing special to me. WHY DID I CLICK ON THIS LINK. a piers to be tan is awesome! I think doing big collections like this spreads OPI too thin, so they have to repeat themselves with a lot of the colors. 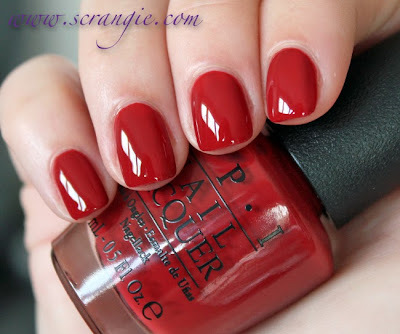 There are red and burgundy cremes and shimmers in the core line; I don't need them in a seasonal collection, too. And I don't ever need brushstrokey shimmers. Thank goodness for the duochromes they put in here! Wow! I seriously want all of them. The president of OPI was at our local beauty salon in SF today to promote the new collection. Such a nice man, and he even autographed boxes of the mini collections that he gave away just for stopping by! 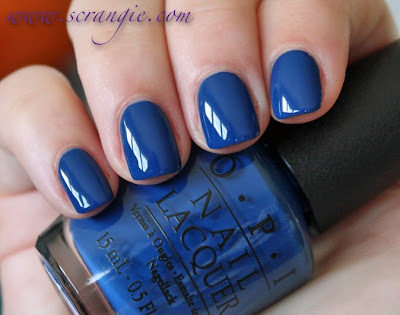 I really like Muir Muir, Peace Love and OPI, and Haven't the Foggiest. I want to try a piers to be tan, unique color. I was just perusing these at lunch today. 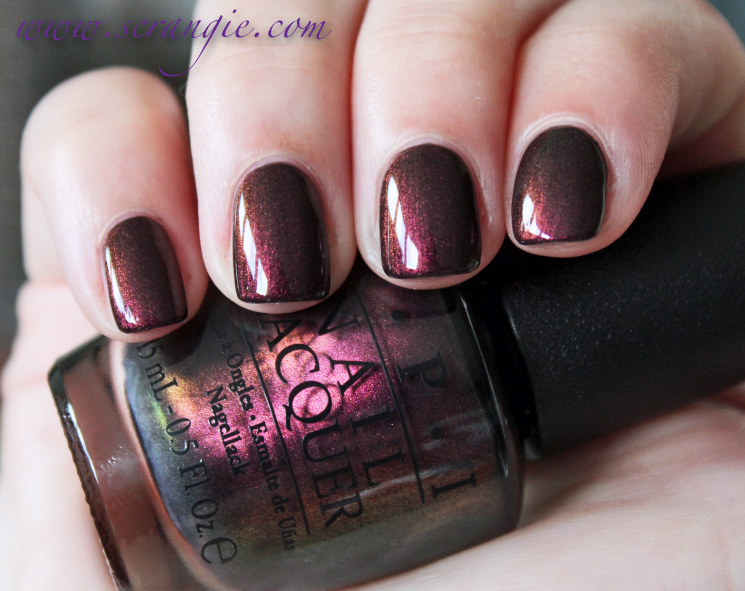 Are you going to do a post on Essie's fall 2013? I gotta know, what is notorious about OPI And Apple Pie? 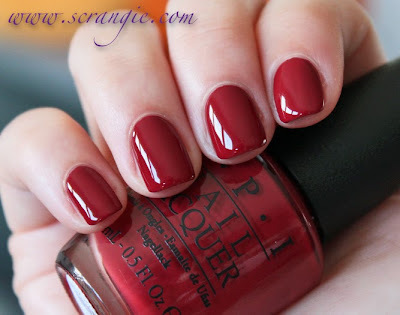 It's notorious for being the most hated OPI color of all time! Except... I like it. A lot. hahaha! Muir Muir on the Wall is a serious problem to me. Very serious. That polish is gorgeous! I want them all! I love OPI! 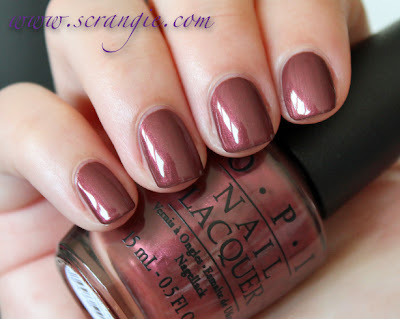 would you say that Peace, Love & OPI is a dupe for Essie's For the Twill of it?